It’s all excitement at Theatre Mensch. 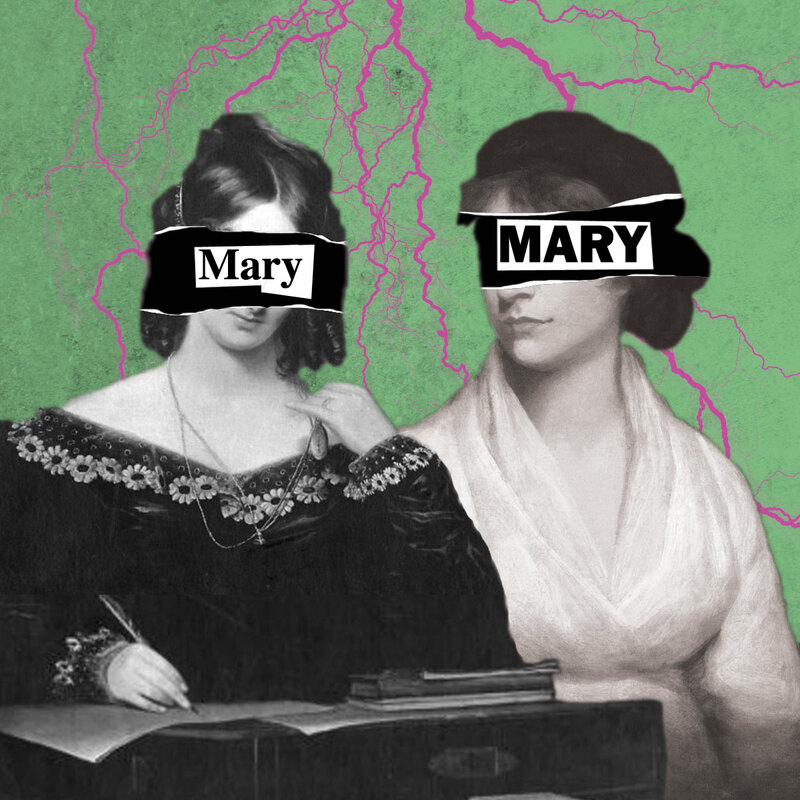 20 days until we open Mary, Mary so get booking! 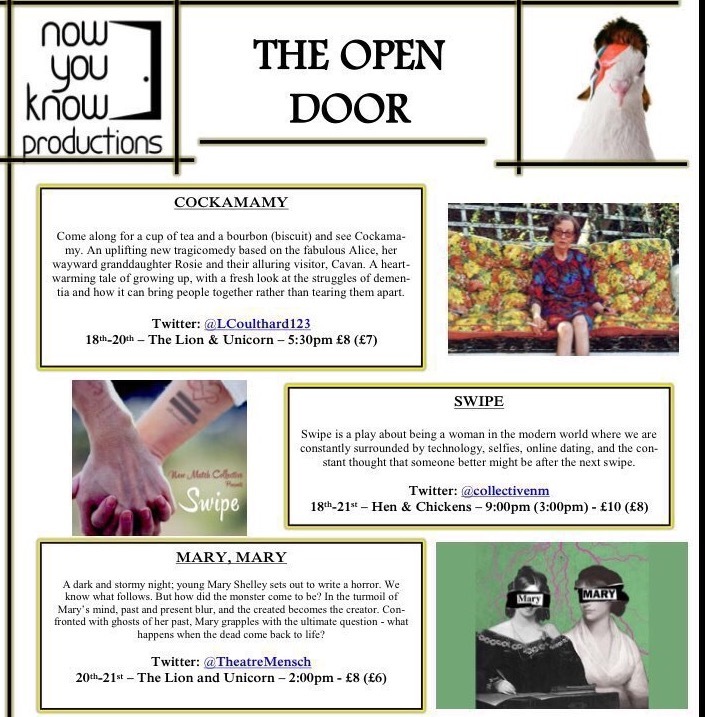 Mary, Mary is up for a “Stagedoor Camden Fringe Award” If you have an iPhone or iPad download the Stagedoor app and take a look at our Facebook post about what this means and how to vote for us. Our Artistic Director Ashleigh Loeb was featured in a piece about Mary, Mary in The Islington Tribune. But we’ve most definitely reserved the most exciting news ’till last! During the Mary, Mary development it became clear to us that we wanted to get another performer onboard and last Wednesday was audition day! Although we wanted to cast someone who could specifically play some of the male parts in our play, we decided to see men and women audition as we wanted to have as open a mind as possible. We saw some really fantastic talent and were so thankful to everyone who came along to audition for us. After some deliberation, we finally decided that we wanted the wonderful Katy Helps to come and join the Mary, Mary company. 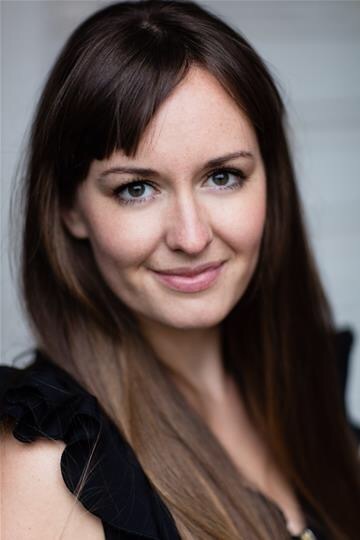 Katy has lots of experience playing multiple roles and really blew us away with the way she transformed into characters during her audition. We’re so excited to start rehearsing with Katy next week! Previous Previous post: One month ’till Mary!